It's obvious that Santa's Hobby is trains and more trains! 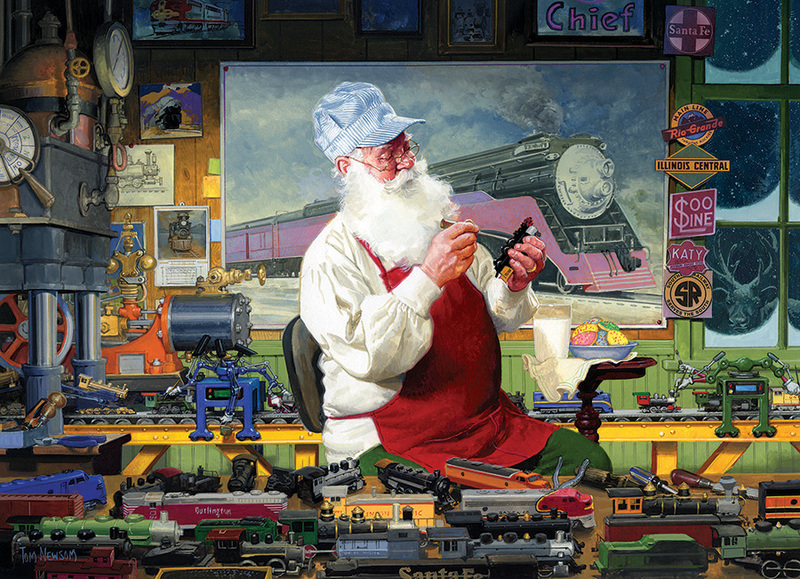 The beloved Tom Newsom captures Santa at his busiest time of the year in his workshop. There's no time to lose for Santa, but you can take as long as you need to enjoy working this lovely 1000 piece puzzle. Item # 80110 Weight 1.61 lbs.